At Bethel Flower Market of Stony Hill, each arrangement is designed with an artist’s eye for color and texture. Along with the trademark grand style and elegance in all our products, the courtesy and care given to each customer, is what keeps our customers coming back. 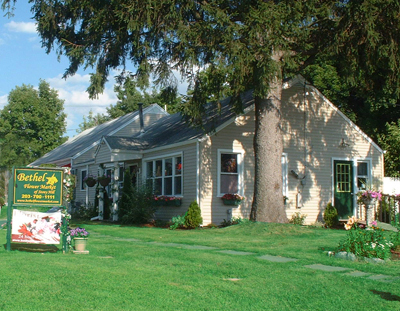 We’re a local Bethel, Connecticut florist with over 15 years experience, along with a lovely variety of fresh flowers, silk arrangements and creative gift ideas to suit any style or budget. We hope you enjoy your online shopping experience with secure 24-hour ordering right at your fingertips. If preferred, you may call us to place orders direct at (203) 790-1111. It is our pleasure to assist you with any local, as well as worldwide deliveries and remember that corporate accounts are always welcome. For your convenience, we offer daily floral delivery to local funeral homes and hospitals. Bethel Flower Market of Stony Hill is open to serve your floral and gift giving needs: Monday through Friday 9:30 am to 5:30 pm ~ Saturday 10:00 am to 3:00 pm ~ Sunday closed. 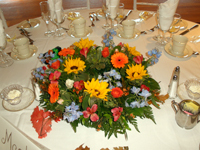 Send sympathy arrangements and funeral flowers ~ We will design and deliver a funeral arrangement that beautifully conveys your expression of sympathy and serves as a lovely memorial to the deceased. 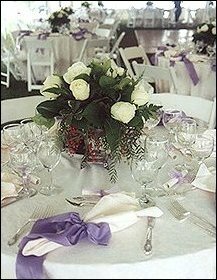 The beauty of flowers at weddings and special events ~ Our talented design staff is ready to help you plan the bouquets, arrangements and on-site decorating for your dream wedding or a special occasion. Call in advance and set up an appointment for a consultation. 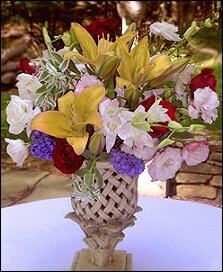 Specializing in lifelike preserved flower designs ~ If you require a permanent arrangements that not only looks, but also feels like fresh flowers, then preserved roses are what you are looking for. A new technique is used in preserving these flowers so that they retain the moist look and feel of fresh flowers. Call us for more details or to place an order. Large selection of silk flowers and unique gifts ~ Choose from our Green & Blooming Plants, Dish Gardens, Fruit & Gourmet Baskets, Gift Baskets, Baby Gifts, Greeting Cards, Candy & Chocolates, Home Décor, One-Of-A-Kind Prints from hand-colored photographs of flowers by K Correia, Scented Candles, Quality Silk Arrangements, Plush Stuffed Animals and Balloons. Thank you for visiting our website with flowers delivered fresh from your local Bethel, CT flower shop, Bethel Flower Market!